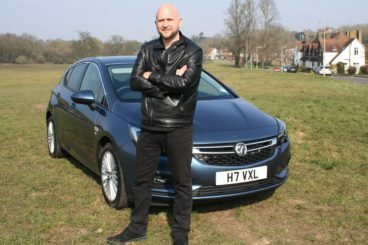 In the biscuit tin of British motoring there’s an assortment of favourites that we natives tend to pick from, and one of the most commonly chosen is the Vauxhall Astra. The Astra has been a huge UK success since first appearing back in 1980, but it has arguably never been as accomplished as it is now with the arrival of this seventh generation. Manufactured in Ellesmere Port, the new Vauxhall Astra benefits from a drastically lighter construction and has more efficient and powerful updated engines. On top of engineering improvements there’s also the eye-catching modern design; the highlight being the striking divide between the roof line and the body behind the rear doors. The new Astra is available in five trim levels; Design, Tech Line, Energy, SRi and Elite, and Vauxhall has also reduced the starting price, with the Astra range now beginning at £15,295. We put two new engines to the test, and first up was the 1.6-litre BiTurbo ‘whisper’ diesel. It promises a fine blend of performance and economy, sipping at fuel as it reaches 62mph in just over eight seconds. The quoted power output is 160hp but it actually feels a little bit more powerful than that, thanks to the strong pulling sensation generated by the 350Nm of torque. It might not be ‘rip-your-face-off’ fast, but it’s got all the power and pull an Astra needs for the average person. At 200hp, the 1.6-litre turbo petrol engine provides the kind of hot hatch power that doesn’t necessarily feel at home inside the soft and comfortable Astra. What it does do though is propel you to 60mph in a very impressive 6.6 seconds, and as the new Astra is much lighter than the last generation this means you can cover ground awfully quickly. You feel the lighter construction really paying off in the corners where the Astra feels far nimbler than ever before, and Vauxhall’s engineers must be praised for not making the suspension overly stiff in an effort to aid performance. Because of this you get a beautifully comfortable and refined ride when taking it easy, and a nimble hatchback with a real sense of urgency when the mood takes you. Inside the cabin the new Vauxhall Astra has really stepped up its game and now offers an interior that is on a par with any of its rivals. A wealth of soft touch materials can be found and there’s comfortable and supportive seating with a variety of adjustment. This, along with the steering wheel adjustment, provides an excellent amount of alteration in the driving position. 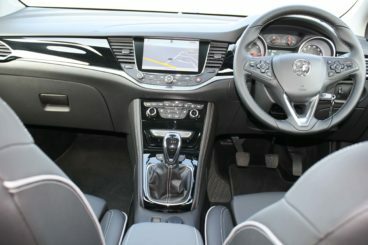 A simplified new layout in and around the centre console is a direct response to feedback from owners of the last generation of Astra, showing Vauxhall listens to the voices of its buyers. Overall it’s a big improvement inside and everything just feels just that little bit better than before; superior in quality to what you might actually expect from a Vauxhall Astra. An increase in interior space for both occupants and loading is welcomed, and considering the new Astra is physically smaller than the last generation, it’s also rather impressive that Vauxhall has managed to engineer that extra space. In the boot there is 370-litres of load space – more than enough for everyday requirements. All models get Vauxhall’s Intellilink touchscreen system as standard, but ‘SRi’ and ‘Elite’ trim levels also get ‘OnStar’. Onstar is quite the luxury item, not only giving the Astra a Wi-Fi hotspot but also providing access to a 24/7 concierge service, so drivers can contact the OnStar service team at any time to request information. It also acts as a safety and health check system for the car, diagnosing faults and even contacting the emergency services if it has to. There’s a selection of engines available in the new Vauxhall Astra, but the BiTurbo diesel we tested certainly provides the best of both worlds when it comes to performance and economy. A theoretically possible 67mpg means you can expect infrequent trips to the fuel pump, and with low CO2 emissions the annual road tax bill will be just £30. The 1.6-litre turbo petrol we tested may have more performance, but its running costs will be higher. £145 a year will have to be given to the government for road tax thanks to its 141g/km of CO2, and the quoted 46mpg is considerably less efficient than the BiTurbo diesel. Should you buy the Vauxhall Astra Hatchback? Lighter and more spacious, the new Vauxhall Astra is better than it has ever been before. 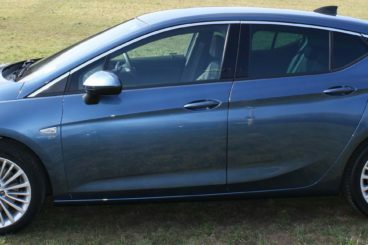 The addition of new technology, enhanced driving characteristics and impressive new engines all add up to make it a fine family hatchback. The more modern and clean styling also keeps the Astra looking towards its future – despite its incredible successful history. The all-new Vauxhall Astra hatchback has arrived, ready to take the fight to its hugely successful rivals – the Ford Focus and the Volkswagen Golf. Each car commands a significant chunk of UK sales figures, so let’s compare the updated Astra against the cars it’s competing with. With prices starting from £15,295, the new Astra undercuts the cheapest Golf by over £2,000, but it’s almost the same price as the Ford Focus – with a basic list price only £200 below the adopted American. Step out onto the street outside where you live, and it’s more than likely there will be a Ford Focus in your line of sight. The Focus has been a huge success for 18 years now, but the Vauxhall Astra has always been right on its tail. The two cars are similar in so many ways but the Focus always used to have the edge in style. While it may have previously had the prettier face, the new Astra – with its fresh sharp lines – is now arguably the better looking vehicle. It’s not enough to simply look cool in this sector though, and with the Focus’s famously fun driving dynamics Vauxhall had some work to do to compete on the road. It has done this by reducing the weight of the new Astra – by up to 200kg in some trims – and this makes a huge difference to its driving characteristics. It’s now more sprightly and responsive in the corners, and though it’s now harder to separate the Focus and the Astra in terms of driving enjoyment – the Focus still just edges it. Steering feel isn’t spectacular in either car, but both grip and turn well on a twisty road and the Astra now has the additional bonus of having more powerful engine options. Inside the Focus, the materials aren’t the best and the dash itself is rather dark and bland. In terms of tech, Ford’s SYNC2 infotainment system is prettier and easier to navigate but is stuck inside a touchscreen that just isn’t as responsive as the Astra’s. Also, with new options like OnStar and intelligent LED headlights, the British-made Astra possesses a slight technological edge on the Ford – let’s not forget that it also has superior load space, even if the boot lip on the Focus is lower. The Volkswagen Golf is an iconic car, having been a huge success for over 40 years. It’s more expensive than the Ford Focus and the Vauxhall Astra, but it is meant to justify this cost by being a little bit more upmarket. In the styling department, it’s a little uninspiring when sat next to the two rivals we have it up against here. It is reserved to the point of being almost invisible, and the more prominent design features of the Astra and the Focus look even better next to the rather plain Golf. Despite that uninspiring exterior, you really do feel the heritage when driving the Golf. It’s a huge name in motoring and when it comes to the drive, the car itself is far from disappointing. It’s responsive and engaging and the steering is the best here, even though it is spoiled a little by the ‘modes’ you can change to give it a different feel – it’s a feature that just doesn’t quite work. The rest of the interior is what you would expect from Volkswagen. Extremely well put together quality materials combine to make a lovely space, and the design is really well thought out, ergonomically speaking. Its rivals have caught up with it over the years, and the Astra is now very close to offering an interior as good as the Golf’s – especially in its higher trim levels – and it’s certainly just as comfortable. The truth is, it doesn’t really matter if the Golf isn’t as good as its rivals. 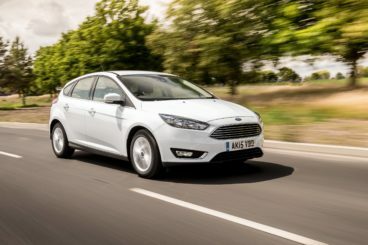 Suburban dwellers may well pick it over the Astra and the Focus on badge pulling power alone, in order to let the neighbours know they’re doing alright for themselves. 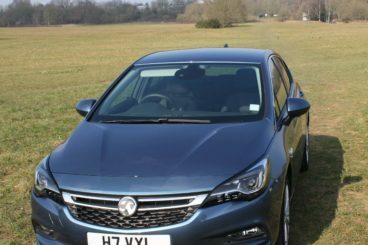 The Vauxhall Astra is now the most comfortable car here, and with the new ‘whisper’ diesel engines fitted it is also probably the quietest. It’s laterally more supple, and this makes it far more of a cruiser than the Ford Focus, which is definitely the most fun car to drive here – if not the most practical. Volkswagen’s Golf has brand prestige on its side, but it comes with a hefty price. It’s hard to separate the three. 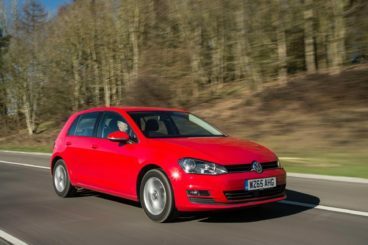 You’re more likely to get an attractive deal with the Vauxhall or Ford than you are with the Volkswagen, and it’s difficult to justify the £2,000 extra you’ll need for the Golf when the rivals have caught up. Consider the Honda Civic as an alternative to the cars we’ve taken a look at here. It consistently delivers positive reports in reliability surveys, has a powerful design – both internally and externally – as well as an excellent diesel engine option.